Potato Lasagna, who knew? This was terrific! Basically, it’s what do you do when you have a bunch of stuff in your freezer and pantry that you need to use? Of course, you make potato Lasagna! Ok, ok, it’s your basic casserole, sort of, but it reminds me of lasagna, minus the tomato sauce and pasta. Here’s how to make it. Add the garlic, seasoned salt, creamed corn and peas. Simmer just until warm. 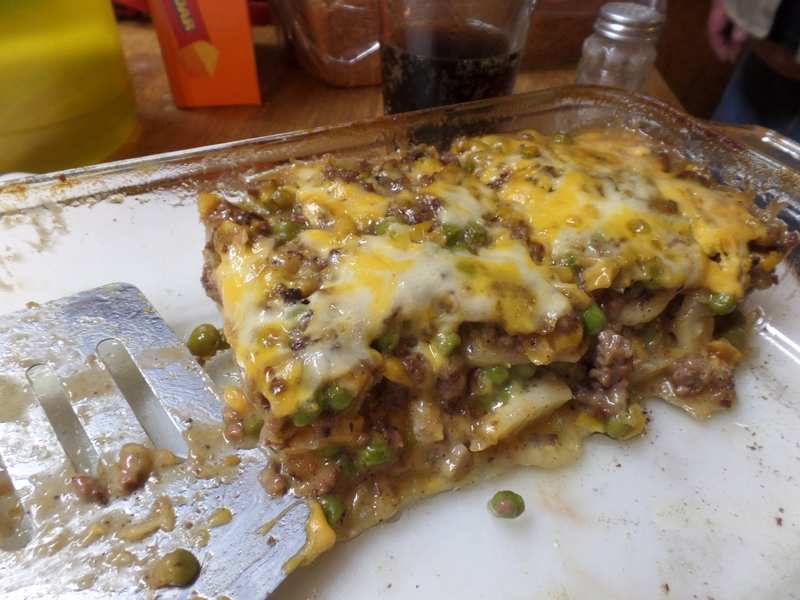 Place a layer of potatoes in a casserole dish, then half the meat mixture then 4 slices of cheese. 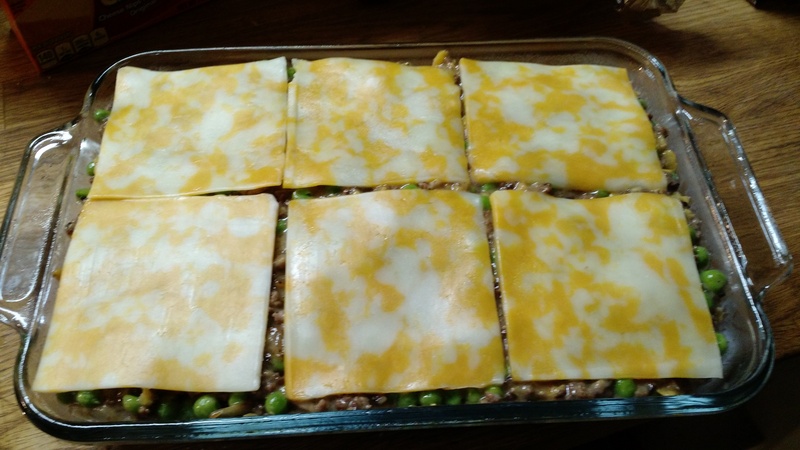 Layer again, ending with 6 slices of cheese on top of the casserole. Cover with foil and bake for 45 minutes at 350 degrees. Uncover and bake 10 additional minutes. Take out of the oven and cool for ten minutes. Serve and enjoy. A casserole for all seasons. Just get out all the extras in your fridge and put together something wonderful. Be sure to bake the whole time so that the potatoes are cooked to the correct softness. This dish was very tasty. I hope you enjoy it too.